The flagship HypeR - P&M's latest model - designed for long distance touring comfort. 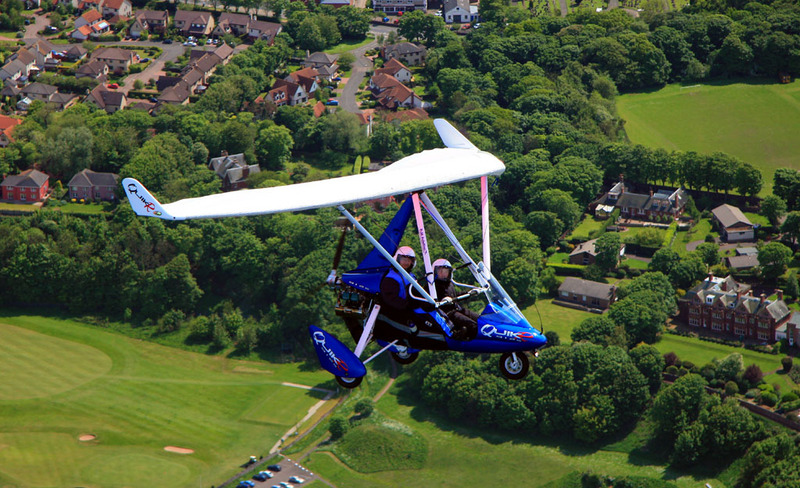 The 100mph QuikR - the fastest flexwing microlight in the world. The Quik GT450 - the perfect all-rounder - easy to fly and capable high speed tourer. The Quik - a slightly smaller wing giving light and responsive handling - a joy to fly. At East of Scotland Microlights we can offer training on any of the above types. All of the instructors' aircraft are driven by the powerful and ultra-reliable 100hp Rotax 912s engine. 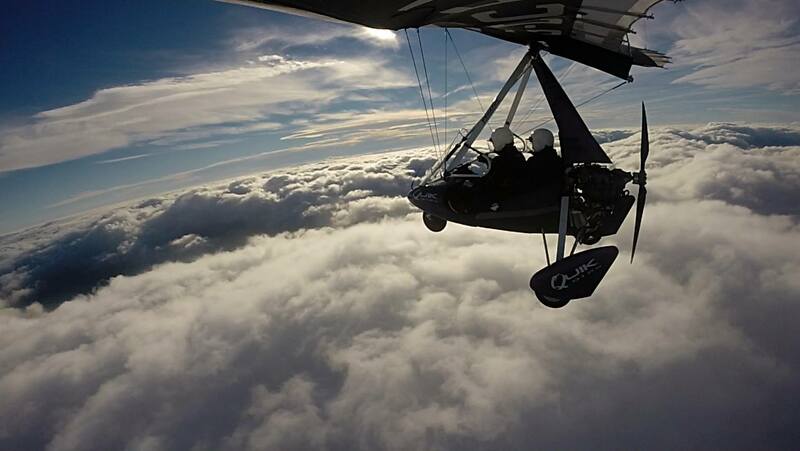 Clients purchasing a P&M Aviation aircraft through East of Scotland Microlights can be assured of the best advice and attention during the process of choosing which model would be most suitable, which accessories would be worth looking at, colours of trike and wing etc. Once you have made your choice, your order will be placed and tracked and you will be assisted with the aircraft's registration with the CAA. We can even help advise you which letters are easiest to say on a cold day on the radio when you pick your registration letters! Once your aircraft is ready, we will go down to P&M Aviation's factory to collect it for you, bring it back, rig it and carry out the post delivery inspection. We will then check fly, calibrate and trim it until it is flying perfectly, and complete all of the paperwork required for the Permit to Fly application. We will also give you an hour's familiarisation training in it once the Permit to Fly has been issued. Then it's all yours to fly and have fun with - come with us on our trips! Naturally we will also deal with any problems which may arise with the aircraft during its first year in your ownership. £100 charged to the vendor. This charge is made since we provide such a large on-site market of potential buyers and will be giving advice etc to any potential purchaser. It should also be noted that it is the responsibility of the purchaser himself or herself to arrange re-registration and we will provide assistance with this as well as giving practical advice on the aircraft. £100 charged to the purchaser. This is to cover all the time spent explaining the ins and outs of the machine, and all the other many questions which will be asked. We think these are fair rates and suggest that the purchaser is responsible for paying both amounts and deducting the vendor's £100 from the sale price. PLEASE ONLY CALL US BETWEEN 8.30AM AND 8.30PM UNLESS OTHERWISE INSTRUCTED. PLEASE DO NOT CALL MOBILES TO MAKE BOOKINGS - WE MAY NOT BE NEAR THE DIARY! We do not fly from this address. The airfield postcode for your Satnav is EH39 5LE.